We have been praying for much needed rain. The GOOD NEWS is last night it rained over an inch! The rain was accompanied by lightening. 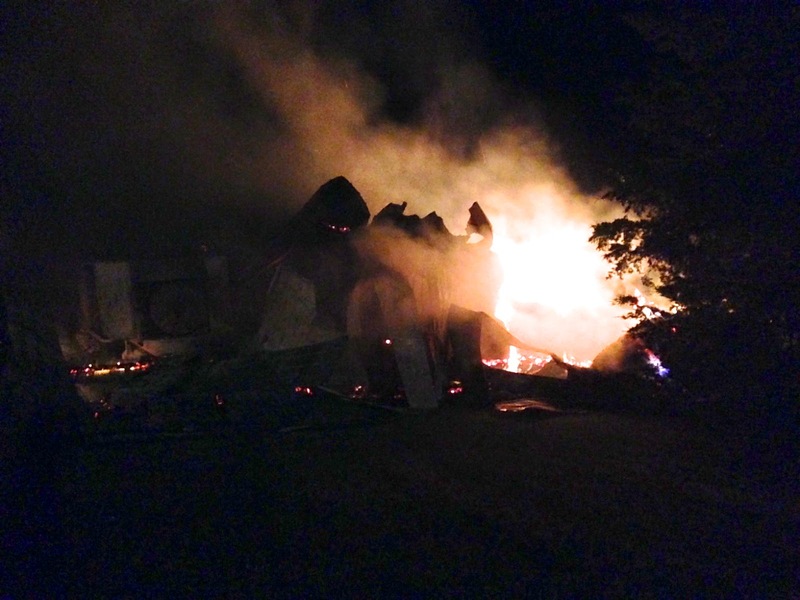 The BAD NEWS is that we got a call about 4 a.m. from the County Dispatcher saying one of our barns was on fire and that fire trucks had been sent. It obviously had been struck by lightening. We quickly dressed and drove to the cattle farm (about 3/4 mile from our house). Firemen and firetrucks were already there but since there was nothing else in danger and nothing to save they watched it burn until it was basically smoldering and no threat to anything else. More BAD NEWS is that it was one of our newer barns and full of hay that Country Guy had put up this year for his cows & horses. There were also 2 pieces of machinery in the barn. We have a couple of other barns on the same property which are old so we were saying, "Why couldn't it have been one of them if one had to be struck with lightening?" 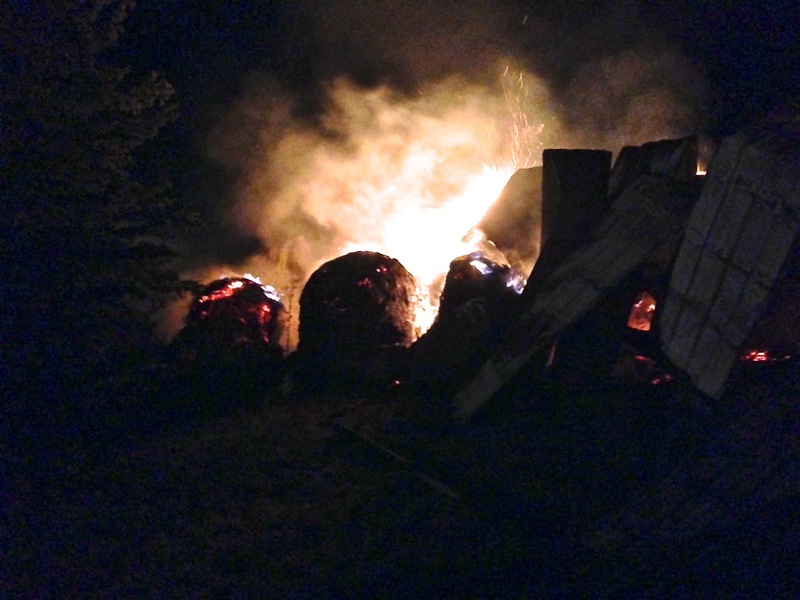 The GOOD NEWS is that only a barn burned! When you get a call at 4:00 a.m. it is a relief to find out it isn't something much worse! 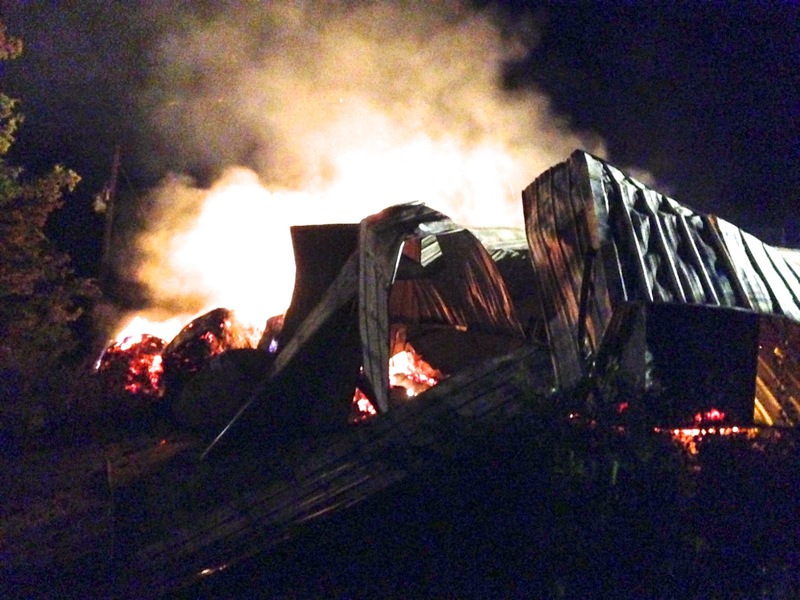 So sorry to hear about the newer barn burning down. Thanks, Ned & Marcia, for caring. 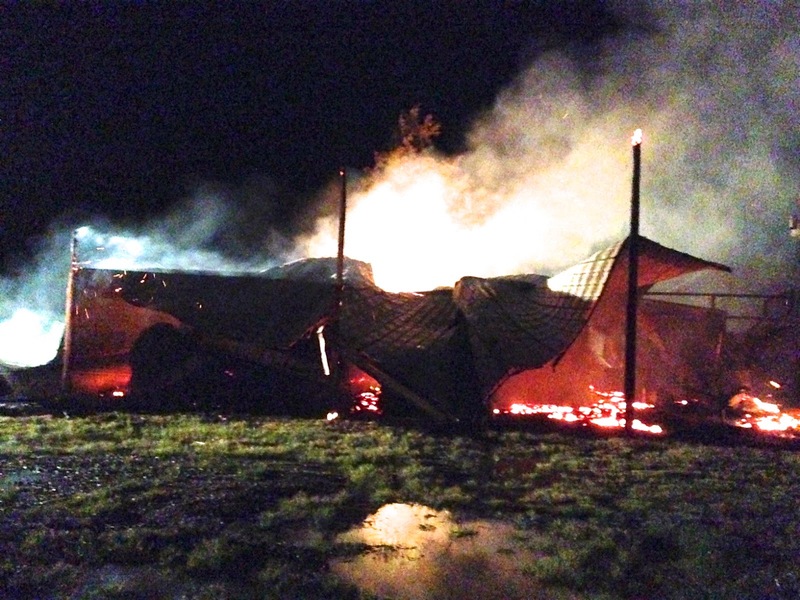 We are glad it wasn't the horse's barn, too.